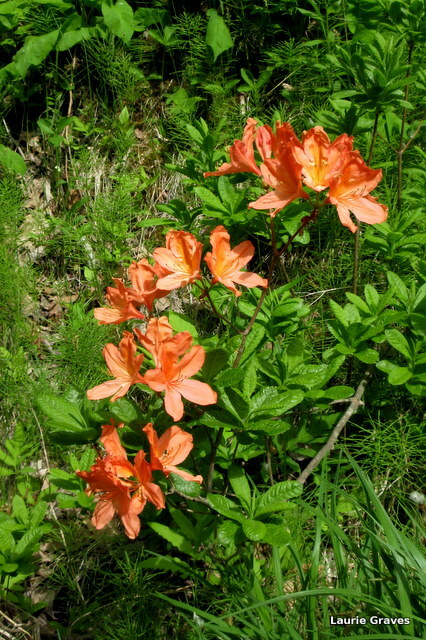 Actually, I came upon this flower—an azalea?—on my bike ride. It is literally by itself on a hill on the side of the road. No house in sight, nor was there ever a house on that hill. How it got there, I can only guess. Birds? “Neglected” is perhaps not the right word, but it fit with my theme of the previous week, where the plant by the house—not mine!—was truly neglected. And still it blooms! You can find beauty in the most unlikely places.